Nearly one in five Australians suffer from hay fever. That’s around 4.5 million runny noses, 9 million itchy, watery eyes and more sneezes than we care to count. If your facial features are included in this collection, chances are you’ll be stocking up on antihistamines and nasal sprays as spring sets in, bringing its trademark onslaught of nose-twitching pollens. If you’re looking for other ways to tackle hay fever this spring, try these ideas on for size. They’ll help reduce the number of allergens you come into contact with and provide some pharma-free ways to get relief. There’s an app for almost everything these days and while some seem rather questionable - like Paper Racing, an app that was created solely so users can race each other to see who runs out of toilet paper first - others have great uses and ingenious features. Check the pollen count before you step outside each day with apps like Weatherzone or get detailed, personalised information on your hay fever triggers with apps like AirRater. Knowing the extent of allergens in the air on any given day can help you prepare accordingly, whether it means changing your picnic lunch to one inside a café, slipping some eye drops into your handbag or swiping on some Vaseline, as in our next tip. Hay fever happens when allergenic particles (like those in pollens, dust and pet hair) get stuck in your nasal passage, causing your body to launch an allergic reaction in an attempt to expel them. Because prevention is the best cure, one of the best ways to manage hay fever is to stop the pesky particles from ever making it into your nose. Try smearing Vaseline or a similar balm on the skin just below your nostrils: it’s like a little pollen trap and it works wonders. Onions contain a natural antihistamine called quercetin that can help alleviate the symptoms of hay fever. If the idea of onion gravy doesn’t float your boat, you might be pleased to know quercetin can also be found in grapefruit, apples and red wine. Pollen sticks to everything, including your sheets. If you suffer from hay fever, consider washing your sheets more regularly during the weeks or months your symptoms are at their worst to give yourself better chances of a sneeze-free sleep. As great as your clothesline is for drying your bedding, you should also consider hanging your sheets on an inside airer to dry, minimising the opportunity for new pollens to stick to them. 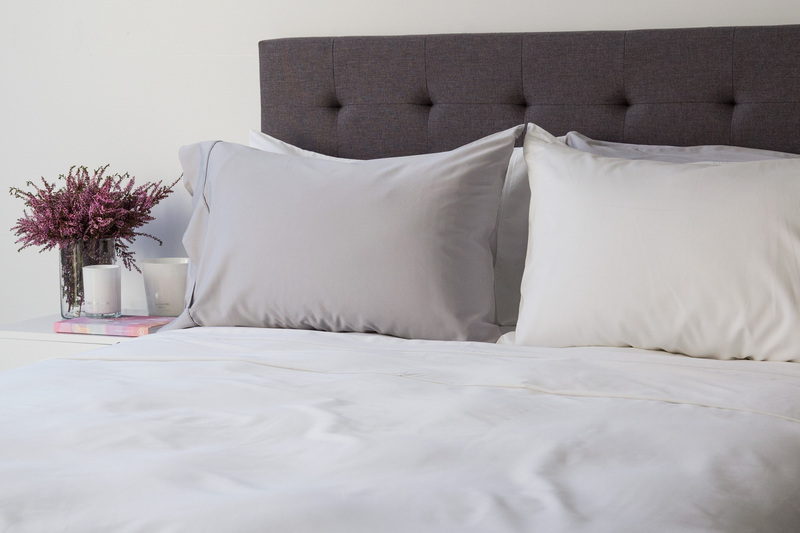 It’s also helpful to look at the kind of sheets you have, keeping in mind that fabrics like bamboo possess antimicrobial properties that kill some allergens. If this sounds appealing, check out our range of beautiful Bamboo Cotton Sheets and buy a set for yourself. Pet hair is one of the main causes of hay fever so keeping Rover’s coat under control is one of the best things you can do for yourself (and for Rover, who we’re sure will appreciate the love and attention). Have your pets washed regularly, brush their fur often - especially as the weather warms up and they start to shed their winter coat - and if they spend time indoors, don’t underestimate the power of a good vacuum. Your vacuum isn’t the only cleaning tool that can help you eliminate allergens in your home. Use an antibacterial spray to wipe down surfaces regularly. Dettol’s Antibacterial Surface Cleanser is a great option, killing 99.9% of germs and removing 90% of common household allergens. After all the tips on cleaning, you’ll be pleased to know relaxation is also proven to reduce the effects of hay fever by lowering the amount of cortisol in your blood. Cortisol (aka the stress hormone) causes reactions that can make your symptoms worse so it’s important to take some time out. Read a magazine, do a yoga class or spend quality time with friends to reduce cortisol and release endorphins, lessening your symptoms and boosting your mood.